HC internships are not classic internships. Yes, you will take on projects and learn about social enterprise, but our programs extend beyond the workday to include excursions, educational visits, training sessions and individualized mentoring. Our programs are relatively small (6-12 interns), and the intimate nature of the experience encourages professional development, a tight bond between interns, and the opportunity to expand your comfort zone in a supportive environment. We’re looking for highly motivated students in all fields to join our different cohorts throughout the year. Our organization was and continues to be built upon your creativity, outside-the-box thinking, and energetic contributions. This isn't just about doing a job. You interact and get to know our staff, partners, and communities. No matter your skills when arriving to Mexico, you will practice Spanish and the ability to connect with those from other cultural backgrounds, whether that be through a homestay, collaboration with a partner or a new friend you make in our community. As an HC intern, you will complete real projects, with all their challenges and complexities, that will directly impact our partners and our organization’s trajectory. You will practice working in small teams, have sync-up meetings with the entire staff and work side-by-side with our local partners to support their business’ growth. You will have plenty of opportunities to apply what you have been learning in college in a real-world situation. Some past project examples include: researching, planning, marketing, and piloting a new tour route, creating the GET calculator for our website and establishing the structure for our volunteer program. The experience gained during this study abroad internship enables you to think critically about community development, social enterprise, the impact of travel, and contemporary social justice issues. Through presentations, documentary screenings, and visits with community members, we explore complex themes and ask challenging discussion questions. Our intention is to equip you with the skills to be an informed, proactive citizen in and beyond your community for many years to come. HC interns remain connected to our organization even after the last day of the internship, offering access to substantial personal and professional networks. We consider our alumni part of the HC family; we stay in touch, offer support and welcome visits. HC staff have reunited with past interns on college campuses and some interns have returned, working with us to organize GETs for their peers. Please read this brochure before applying. This program is a fast-paced, intensive internship in Mexico for students who wish to take advantage of their summer break to travel, engage in the social sector, and grow professionally. Structured job trainings to equip you with the skills needed to succeed in a wide range of positions, we will treat you as a part of our small team, entrusting you with a great deal of responsibility and choice. 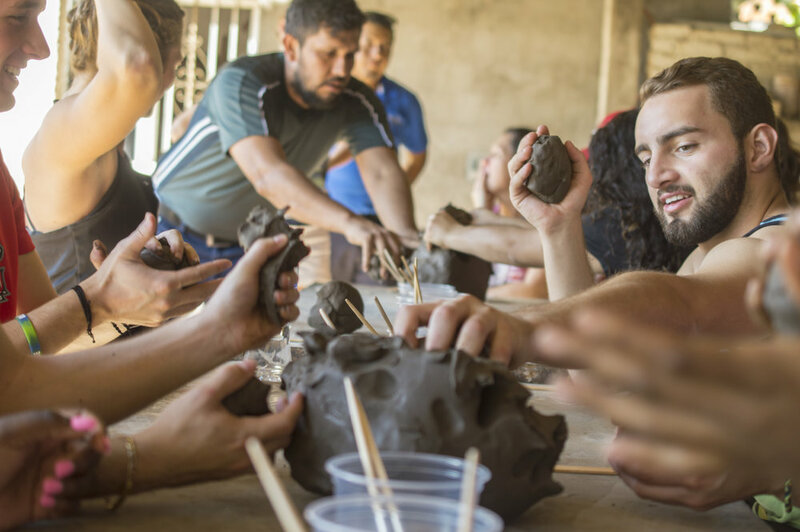 Projects are focused on consulting and nonprofit management, and will be complimented by workshops, group discussions, visits with our artisans and nonprofit partners, and excursions throughout the area. We accept applications on a rolling basis and issue acceptances accordingly. We recommend that you apply early; because of the small nature of our programs, they are competitive. Our internship is crafted as an experiential-learning program. We will challenge you where you are, so substantial experience is not necessary. Eligible candidates are college students, though we have had some post-grads and grad students join us as well. It is a plus if applicants have a proficiency in Spanish, but it is not a requirement. We look for enthusiasm, curiosity and the mental grit necessary to consider complex challenges, both on a community and global level. We are a small and tight-knit team and seek candidates who want to engage in this environment. Our interns are people who have a desire to listen, consider and interact with community members and an overarching goal of using their skills to make the world a better place. HC Internships are open to students of all majors; we seek a diverse team, who come from a variety of backgrounds and who possess a range of skill sets. In our experience, this best enables intern teams to support our partners, as well as to learn positively from one another. An opportunity to form part of a small, dynamic team and the chance to make a difference in Human Connections’ professional trajectory! 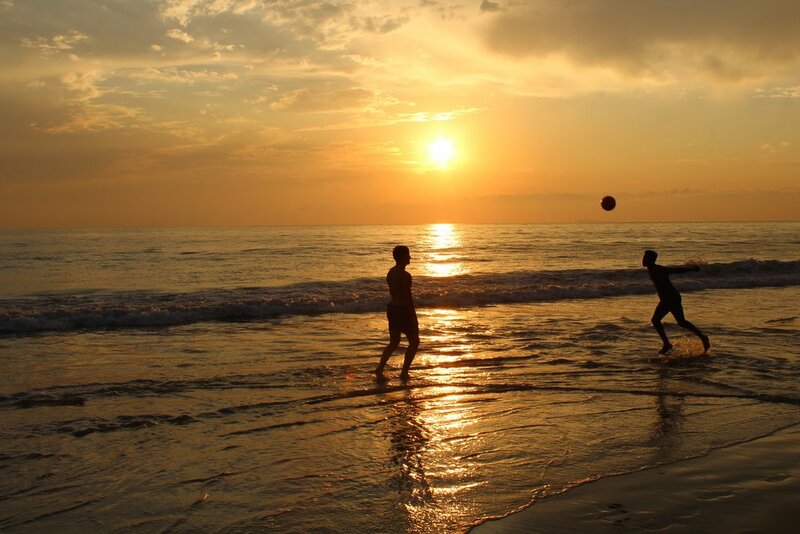 Bucerias and the Riviera Nayarit are secure areas, given their touristic nature. The US Department of State specifically excludes this region from any travel warnings. Incidences of violence are lower than in many US cities. We are located here because it is such a safe, calm and beautiful part of the country. If you or your family have any specific questions about safety, please reach out to us directly. As an intern you will work a mostly traditional Monday – Friday, 9:30am – 5:30 pm schedule. Much of this time will be in our office, but partner and site visits also take place during the work day. Relevant project-related and educational discussions are also integrated into the work day. Your project will have a final objective and you and your team will generate milestones to keep your work on track, as well as hold regular sync-up meetings with all HC staff. We consider ourselves a relaxed professional environment. We treat you as coworkers and give you the same amount of autonomy, responsibility and trust with which we grant full-time staff. What are the living costs in Mexico? This depends on your individual needs and lifestyle! Past interns have spent anywhere from $50 – $125 per week on food, laundry and entertainment. If you plan to buy many souvenirs or eat out often, you might want additional spending money. Why is there a cost associated with the program? We recognize the value of the time and contributions our interns make to our organization. The program fee we charge is the cost of the services that we provide for you (such as accommodation, transport, meals, etc.) as well as fair compensations to clients, guides, guest speakers and staff for their work during the program. We provide these services so that you can focus on your internship work and cultural immersion experience. Please note that most of our interns are able to receive funding from their institutions. We believe in full transparency and we are happy to provide a detailed breakdown of fees upon request. Can I talk to past interns about their experiences? Absolutely! Many of our “HC alumni” have offered to answer questions or share their experiences. Please let us know if you are interested and we will put you in touch.